Dr. James Brillhart is an Indianapolis native who completed his internship with St. Vincent Hospital and Indiana University Medical Center. He completed his residency in obstetrics and gynecology at Cincinnati’s Good Samaritan Hospital, where he served as chief resident. He is a vConfidence approved physician who is completely intent upon making it possible for women to improve their feminine quality of life. During his medical career, Dr. Brillhart has delivered more than 10,000 normal and high-risk pregnancies, making his practice one of the most experienced in Indiana and he co-founded Community OB/GYN, which later expanded to become Clearvista Women’s Care. In association with Community Physician Network, he formed Brillhart OBGYN in 2004 to help serve his patients more efficiently and effectively. In 2007, Dr. Brillhart trained with Dr. David Matlock in Beverly Hills, California and formed the Laser Vaginal Rejuvenation Institute of Indianapolis, which is the first of its kind in Indiana. At Laser Vaginal Rejuvenation Institute of Indianapolis under the skilled and thoughtful care of Dr. Brillhart you can expect the vConfidence commitment to the absolute highest quality of patient care and an unsurpassed service approach with extraordinary results at truly affordable prices, thanks to our cloud-enabled high-tech soft touch approach to your unique issues and challenges. 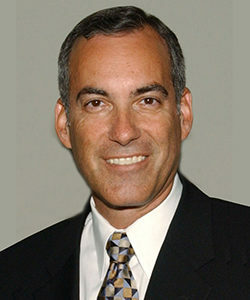 Dr. Brillhart has been a member of the Community Surgery Center North Advisory Committee since its 1992 inception, and he is an Associate of the Laser Vaginal Rejuvenation Institute of America as well as the International Society of Cosmetic-Gynecology and is board certified by the American Board of Laser Surgery. We invite you to schedule a complimentary consultation so that you can discover all that we have to offer at the Laser Vaginal Rejuvenation Institute of Indianapolis, including the absolutely latest techniques in vConfidence feminine care.